If you want to improve your fitness level, it is just imperative to equip yourself with a decent fitness tracker. A fitness tracker is not just for fashion; a fitness tracker can be very useful to help you stay focused on your fitness goals. Many fitness trackers nowadays are also equipped with nice additional features, such as the ability to integrate with your smartphone and show notifications. Fitbit Alta and Fitbit Blaze are two popular fitness tracker models. So, if you are going to purchase a fitness tracker, should you pick Fitbit Alta or Fitbit Blaze? 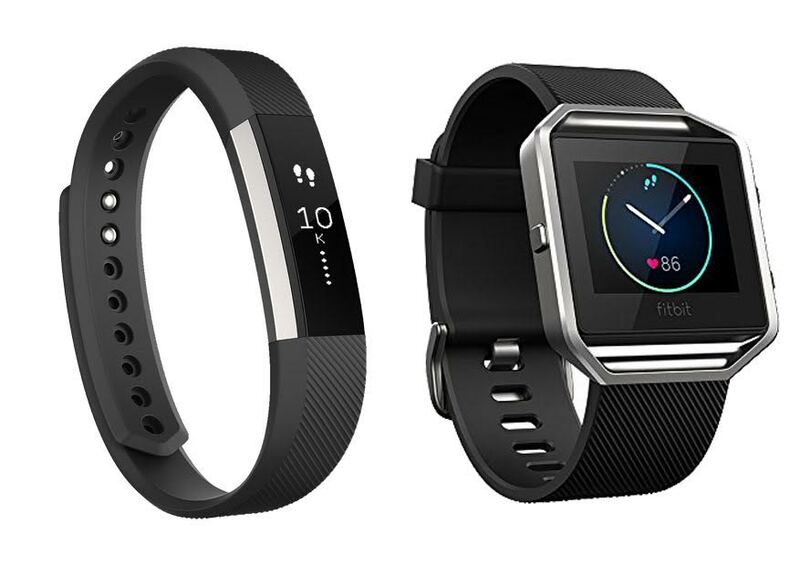 Fitbit Alta and Fitbit Blaze have very different designs. Fitbit Alta is significantly slimmer, featuring a thin elastomer wristband and a monochrome OLED tap display screen that goes with the same width as the wristband. It appears simple yet modern and elegant. On the other hand, Fitbit Blaze is quite bulkier, featuring a wider elastomer wristband and a rectangular color touchscreen. The LCD is protected by a surgical-grade stainless steel bezel. If you prefer a wider display, then Fitbit Blaze is for you. Both models are waterproof. They are resistant to sweat, rain, and splashes. You can wear them in the shower, but it is recommended that you dry them afterward because excessive moisture on the band is bad for your skin. Both of these models can sync automatically to computers and most Android, iOS, and Windows mobile devices via Bluetooth. They both have 20 feet syncing range. Both also have rechargeable batteries, and they both can last up to five days per charging. The charging process is pretty quick; it usually takes just one or two hours. It is recommended to be done every few days to prevent the device from running out of battery. If we compare the features, Fitbit Blaze has more built-in functions and features than Fitbit Alta. All the features of Fitbit Alta are also available in Fitbit Blaze. However, if you would like to customize the fitness tracker, it is worth mentioning that Fitbit Alta has a lot more accessories available on the market, especially from third-party manufacturers. Fitbit Alta can count your steps, distances, and calories. There are clock, sleep tracking, and silent alarm. If you’ve been idle for too long, Fitbit Alta can remind you to make some moves. It can also display call, text, and calendar notifications from your mobile phone. Fitbit Blaze has all those functions as well. In addition, Fitbit Blaze can also count floors climbed and show your heart rate. The display screen can provide step-by-step instructions of creative workouts. Plus, you can also control the music player on your phone through the Fitbit Blaze. That’s great if you love to listen to music while working out! In general, Fitbit Blaze is the best choice because it has richer features. The display is also more convenient to see. But Fitbit Alta can be a nice, stylish alternative if you don’t need the additional features of Fitbit Blaze.